89-card set – a handy pack of in-game reference cards. Keep track of Tactical Objectives (36), Psychic Powers (7), Stratagems (28), and Orders (18). 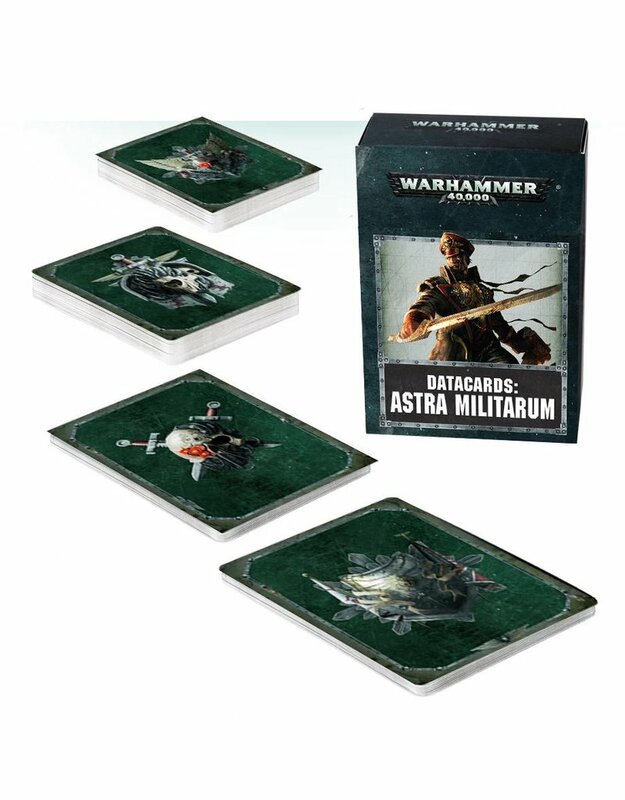 The Datacards: Astra Militarum set contains 89 cards, and a handy pack of in-game reference cards, to augment your games of Warhammer 40k, with the Imperial Guard.